Massage therapy has many healing benefits. It works very effectively alongside chiropractic care to heal your body and leave you feeling great. 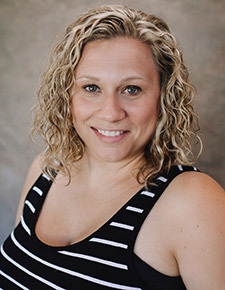 Mandy is our massage therapist, and you can schedule with her through our front desk. We may refer our chiropractic patients to Mandy if we feel she can help their health to progress further. This collaboration allows our chiropractors to discuss your needs with Mandy to give you the greatest possible benefit. 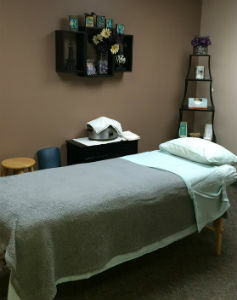 Our soothing Bismarck massage therapy will be just what you need to relax. Contact us to schedule your appointment today! Mandy is our massage therapist and began working at Chiropractic CareCentre in Feb 2002, after attending the Institute of Myo Therapeutic Studies. She enjoys helping people and putting them on the path to recovery. Mandy is married to Stan and they have two dogs and one cat. When she’s not doing massages, you may find her decorating cakes, playing volleyball or riding a Harley.